Mat Cauthon must face a moment of destiny within the Aiel Waste. At Taren Ferry, on the northern edge of the Two Rivers, Captain Dain Bornhald leads several hundred Whitecloaks in crossing the river. They are here on the orders of Lord Captain Commander Pedron Niall, and are meant to work with a strange, weaselly man called Ordeith. Bornhald detests him, but has no choice but to follow his commander’s orders. 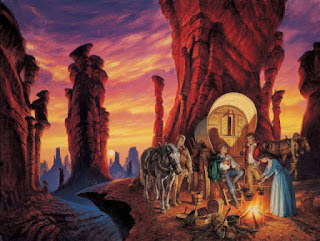 They have encountered a Tinker caravan (the same one Perrin, Elyas and Egwene encountered on Caralain Grass, The Eye of the World) and, to stop them spreading word of Whitecloaks in Andor without Morgase’s permission, have forced them to accompany them. In Tear the talk is all of the forthcoming war, though some mutter against Rand: High Lord Darlin Sisnera has rejected Rand’s authority and led men in open rebellion into the north, apparently waiting in Haddon Mirk and gathering strength. 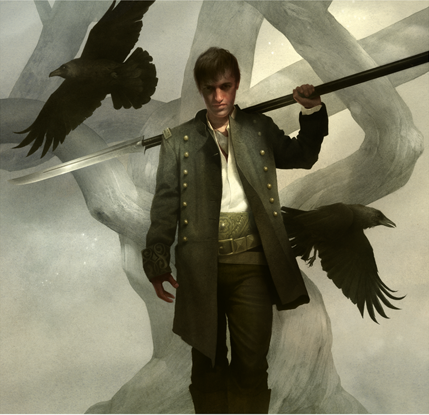 Though Rand has not admitted it, everyone thinks that Illian, and Sammael, is the target for his army. In the Stone Perrin is suddenly attacked by his own axe, which comes to life and tries to kill him and Faile. Perrin subdues it. At the same time one of Mat’s playing cards comes to life and attacks him, and Rand is attacked by his own reflection in his room. All three survive. Moiraine later reveals that ‘bubbles’, so to speak, of evil are seeping out of the Dark One’s prison and drifting across the Pattern. They are attracted to the life-threads of ta’veren and ‘burst’ when near them, unleashing extremely localised disturbances of chaos. Egwene, Nynaeve and Elayne continue their interrogation of the two Black Ajah sisters captured during the fall of the Stone of Tear. Amico tells them that the eleven remaining Black Ajah sisters are heading for Tanchico, the capital city of the far western nation of Tarabon. According to rumour, there is something in the city that can hurt or kill Rand. The Black Ajah were ordered to seek it out for the Forsaken and learn what this artefact can do. Joiya Byir, on the other hand, claims that the Black Ajah have gone to Saldaea. They plan to liberate the false Dragon Mazrim Taim, currently being taken to Tar Valon for trial and gentling, and have him impersonate Rand al’Thor. He will perform atrocities and evil acts in Rand’s name, so that Rand will never be able to unite the nations in time for the Last Battle. It is impossible to tell which is telling the truth, though the fact that Taim is already in Aes Sedai custody and being guarded makes the three Accepted think of Tanchico as the more likely target. Moiraine decides they have listened to stories for long enough and informs the two prisoners they will be taken by boat to Tar Valon for trial and stilling, possibly execution as well. To prevent this fate they must convince the Amyrlin of their innocence. Moiraine tells the three Accepted in the cellars of the Stone, hidden amongst the cache of ter’angreal, is a powerful device indeed. A ter’angreal shaped like a doorway, it leads to a place where any three questions will be answered completely truthfully, as long as the questions do not involve the Shadow. Moiraine plans to make use of it to help Rand make his decision on what to do next. After three days Rand receives a visit from Selene, the woman he met in Cairhien (The Great Hunt). However, Selene quickly reveals herself to be truly the Forsaken Lanfear. Lanfear tells ‘Lews Therin’ that he will be hers again, but she does not trust him yet. To be hers, he must survive, and to survive he must learn to channel enough to avoid Sammael, Rahvin and all the other Forsaken who would kill him. She has arranged for him to be taught in the ways of channelling by the Forsaken Asmodean, a close ally of hers. Rand rejects her offer, but then senses something amiss outside. Bursting out into the Stone he finds Trollocs and Myrddraal battling the Aiel and the Defenders. Lanfear claims not to be responsible, even using the Power to bring in her own Trollocs and Myrddraal to fight the ones already present. Using Callandor, Rand destroys the Trollocs and Myrddraal in the Stone, but then becomes consumed by some kind of madness, even trying to use the Power to bring the dead back to life. He is stopped by Moiraine, who reminds him that none bar the Creator and the Dark One can restore the dead. Lan investigates and discovers that the Shadowspawn were smuggled into the Stone after being brought in by a convoy of barges from up the river. This incursion finally convinces Rand the time has come to move and convenes a general assembly of lords for the next day. A relic of the First Age stored in the Panarch's Palace. A symbol representing wealth and hubris. That night Egwene enters Tel’aran’rhiod and travels to Tanchico. There, in the Panarch’s Palace, she visits the famous museum containing relics from the Age of Legends, and even before. She finds an angreal and also a ter’angreal, shaped like the statue of a woman holding aloft a crystal sphere. In the same case is a bizarre device, looking like an a’dam but with two bracelets attached. She also finds a strange symbol of a three-pointed star, many, many thousands of years old, and the bones of some tall, four-legged animal with a long neck. Egwene continues her explorations, but a distraction whisks her away to the Aiel Waste, where she disturbs an Aiel woman in the middle of hunting. Unlike an ordinary dreamer, who drifts into Tel’aran’rhiod whilst asleep, this women remains and sees Egwene. Thinking she has stumbled across one of the Black Ajah, Egwene flees back to Tanchico, but the woman follows her and introduces herself as Amys, the Wise One of Cold Rocks Hold in the Waste. She is a dreamwalker and offers to teach Egwene in the ways of the World of Dreams if she comes to the Waste. Returning to the waking world, Egwene learns from Aviendha (one of the Aiel Maidens of the Spear in the Stone) that Amys is one of Rhuarc’s two wives and a much-respected Wise One. Whilst in Tanchico Egwene felt something dangerous and evil stirring. So did Amys. That seems to indicate that Tanchico is where the real danger lies. Egwene is torn between going there to confront the danger to Rand and going to the Waste to learn more about her abilities. Moiraine enters with the news that both Amico and Joiya were killed during the Trolloc raid, presumably to stop them speaking. Learning what Egwene has discovered, she tells them that according to all reports Tanchico is now a dangerous place, with Tarabon torn apart by war with Arad Doman and the Whitecloaks on Almoth Plain, along with civil war against the Dragonsworn. Egwene makes her mind up to go to the Waste and learn from Amys, whilst Nynaeve and Elayne resolve to go to Tanchico. Aviendha wants to go to Tanchico as well, but Moiraine stops her by telling of a letter newly received from the Waste, ordering Aviendha to go to Rhuidean. Aviendha tries to resist, but Moiraine and Rhuarc both put their feet down. Aviendha sulkily gives in. Out in the city Mat hears a disturbing rumour in the taverns, that Whitecloaks are hunting the Dragon Reborn in a region of far western Andor called ‘the Two Rivers’. Rushing back to the Stone, Mat finds Perrin already packing. Perrin asks Mat to go with him, but Mat decides to wait to see what Rand is doing. Perrin asks Loial to guide him through the Ways to the Two Rivers (where there is a Waygate near the ruins of Manetheren’s capital city) and Loial agrees. Perrin goes out of his way to avoid Faile, hoping not to endanger her, but Faile discovers his plans anyway and forces Loial to take her as well. Two Aiel Maidens, Bain and Chiad, agree to accompany Faile, whilst Gaul, the Aiel Perrin rescued from Whitecloaks in Remen (The Dragon Reborn), decides to accompany Perrin to pay him back for his earlier help. Perrin hopes that some of the other Aiel might come as well to help, but most of them are anxious to return to the Waste, disliking these ‘wetlands’. They depart before Moiraine knows of their plans. Mat learns of the ter’angreal in the cellars from Egwene and decides to enter to make his own mind up. He wants to get away from Rand, but for the moment finds himself unable to do so, tied to him by their mutual status as ta’veren. The ter’angreal leads to another world, where a group of strange humanoid creatures answer his questions. They tell him that he must go to Rhuidean, he must marry the Daughter of the Nine Moons, he must die and live again, and live once more part of what once was, and that he must finally give up half the light of the world to save the rest from oblivion. Before he can learn more Mat is unceremoniously thrown out of the ter’angreal. He meets Rand and Moiraine outside, both having also gone into the ter’angreal and gotten certain answers. They refuse to reveal what those answers are. In Tar Valon Min has a startling Viewing when she encounters Logain, the former false Dragon, now gentled. Apparently he will find power and glory again. She tells the Amyrlin about it and discovers that the Amyrlin has admitted Leane, her Keeper of the Chronicles, into her conspiracy as well. Whilst they talk, messages arrive, including one from Moiraine telling Siuan that the Stone of Tear has fallen to the Dragon Reborn. At last, Siuan can move openly with regard to Rand. The other news is more disturbing: Mazrim Taim has been freed near the Black Hills whilst en route to Tar Valon. Two Aes Sedai died in the process. Angered, Siuan orders a full thousand of the Tower Guard and a dozen Aes Sedai to track down Taim and gentle him as soon as he is taken again. In Tear Moiraine asks Thom Merrilin to accompany Elayne and Nynaeve to Tanchico. Initially reluctant, Thom is disturbed by the idea of Morgase’s daughter going to that forsaken city and agrees. He ropes in Juilin Sandar to help as well. The four of them charter a Sea Folk ship, the Wavedancer, to head to Tanchico. The Sailmistress agrees to take them once they reveal the truth that they hunt the Black Ajah. As the ship gets underway Elayne senses the One Power being used by someone on board and discovers that the ship’s Windfinder - the ship’s expert on the weather - can channel! The Windfinder, Jorin, confesses that many Windfinders can channel, and all are kept apart from the White Tower. Elayne and Jorin agree to exchange their knowledge about the One Power and, with Elayne’s help, the Wavedancer almost doubles its speed as it heads westwards. The nobility of Tear gather in the Heart of the Stone to hear Rand’s pronouncement. The Aiel, Moiraine, Lan, Egwene and Mat are also present. Moiraine is annoyed that Perrin, Faile and Loial are gone without her knowing. Rand’s orders are simple enough. The Tairen armies will march, but not against Illian. Instead they will go north, to Cairhien, and end the civil war there by force of arms. They will impose the peace of the Dragon Reborn and bring grain with them to feed the starving refugees. Once Cairhien has been subdued, the Cairhienin military will join the Tairen armies and then they will deal with Illian. Rand also imposes a lasting peace and alliance between Tear and Mayene, much to Berelain’s delight and the Tairen High Lords’ anger. In the meantime Rand is leaving Tear, but will return. To prove this he drives Callandor into the stone floor of the Heart of the Stone, weaving elaborate traps around it to ensnare any male Forsaken who comes to claim it. Afterwards Moiraine confronts Rand and learns that he means to go to Rhuidean, in the Aiel Waste. She tries to dissuade him but he is adamant. A highly speculative map of the Aiel Waste, from the essential 13th Depository blog. The next day the Aiel depart the city of Tear, led by Rand, Mat, Egwene, Moiraine and Lan. After a while they come to a shattered Portal Stone and Rand uses an angreal taken from the Stone to transport all of them to the slopes of Chaendaer, the mountain that overlooks Rhuidean in the Aiel Waste. He doesn’t lose four months this time, but even with the angreal moving several hundred people at once almost drains him. Below the mountain they see towers and spires raising from a dense shroud of mist: Rhuidean, the only city in the Aiel Waste. Making their way down the slopes they come across a large encampment of Aiel. Four Wise Ones - Amys, Seana, Melaine and Bair - meet them, as does Heirn, the leader of the Jindo sept of the Taardad Aiel, which is acting as bodyguard for the Wise Ones. Another large group of Aiel is also present, from the Shaido clan. Suladric, clan chief of the Shaido, has died and another Shaido warrior, Muradin, has entered Rhuidean to see if he is worthy to become clan chief. Couladin, Muradin’s younger brother, plans to go next if necessary. Rand asks permission to enter Rhuidean and the Wise Ones grant it, telling Rand that his father was Aiel and his mother an adopted Aiel. Mat also asks, remembering the prophecy from the ter’angreal, but Couladin becomes enraged and tries to kill him. The Wise Ones use the One Power to stop him. They berate Couladin for breaking the peace of Rhuidean and explain to Mat that only those of Aiel blood may enter the city. Rand tells Mat he can go anyway and the two of them set out. Then the Wise Ones order Aviendha to go to Rhuidean also; she can channel the One Power and must therefore become a Wise One. Before she begins her training, she must see if Rhuidean finds her worthy. Aviendha protests since she is unwilling to give up the spear, but eventually gives in and sets out for the city. Whilst they wait for the others to return, the Wise Ones agree to teach Egwene in the ways of dreamwalking. They also tell Moiraine she must go to Rhuidean as well, alone, which irritates Lan. In Rhuidean Mat and Rand discover the central square of the city is covered in angreal and ter’angreal, possibly more than there is in Tar Valon and Tear combined. Among the angreal Rand finds the ter’angreal statue needed to use the giant sa’angreal statue he saw in Cairhien (The Great Hunt). There are also two other ter’angreal of interest. One is a collection of crystal columns. He sees an Aiel man - presumably Muradin - already within. The other is a doorway almost identical to the one in the Stone of Tear. They also find Avendesora, the Tree of Life itself. Rand enters the columns and sees the history of the Aiel race unfold before him, from the Age of Legends to after the Breaking. He sees the drilling of the Bore, the War of the Shadow, the Breaking of the World and the founding of Rhuidean. He learns that the Aiel were originally pacifists who followed the Way of the Leaf and why they gave a sapling of Avendesora to the Cairhienin, and why its destruction sparked such a rabid war. Mat, meanwhile, enters the doorway ter’angreal and finds himself in a similar world to the one reached through Tear, though the people are slightly different. He demands three more answers, but does not receive them. Instead he is granted three wishes: to be protected from the One Power, to have the holes in his mind filled (a result of his bond to the dagger and the Aes Sedai Healing him) and to be let out from this strange place. When Rand emerges from the columns he finds Mat hanging from Avendesora by a noose. He saves Mat just in time and Mat finds he has been given a strange tasselled spear with an odd saying on it. He decides to keep it to remind him of his unusual experience. He has also been given a bizarre medallion, which he also keeps. Meanwhile, Perrin and his companions emerge from the Waygate in the Mountains of Mist. Loial locks the Waygate behind them to stop anything else coming through that way. He reaches out to the local wolves to find out what is going on, but cannot find any. In fact, most of the wolves here are dead. In the wolf dream Perrin meets Hopper again and learns that a strange man named Slayer has been killing the wolves in the area for some reason. Perrin encounters him here and chases after him, catching a glimpse that reveals a man who looks strangely like Lan. He loses the man near a tall, silvery tower within sight of the River Arinelle (the same tower seen by Thom, Rand and Mat from the Spray after their flight from Shadar Logoth). Perrin prepares to enter, but is stopped by a woman wielding a bow. He recognises the woman as Birgitte, one of the Great Heroes of the Ages summoned back by the Horn of Valere at Falme. Between soundings of the Horn, the Heroes are bound here in Tel’aran’rhiod. Birgitte wishes to join the current fight against the Shadow, but is proscribed from doing so by ancient laws. She warns Perrin not to enter the Tower of Ghenjei for it leads to the realms of the Aelfinn and Eelfinn, who are alien to humanity and highly dangerous. Perrin and his companions make their way down to the Sand Hills and then east towards Emond’s Field. They pass the al’Thor farm along the way and find it razed to the ground. In Emond’s Field Perrin and Gaul slip into the Winespring Inn and meet Bran and Marin al’Vere (Egwene’s mother). After telling them that Egwene is becoming Aes Sedai, Perrin learns that both Whitecloaks and Trollocs are troubling the Two Rivers. The Whitecloaks are searching for Perrin, Mat and Rand, but have put the highest price on Perrin’s head for his murder of Whitecloaks on Caralain Grass and at Remen. They have taken Mat’s family and the Luhhans, whom Perrin was apprenticed to as a blacksmith, prisoner to their camp near Watch Hill. Perrin is then devastated to learn that his entire family has been murdered and his farm destroyed. Perrin is struck down by grief, but is comforted by Faile. Recovering somewhat, he learns that Tam al’Thor and Abell Cauthon (Mat’s father) are both still free and living in the woods. Marin takes him to meet them. Perrin is also startled to encounter two Aes Sedai - Verin Mathwin and Alanna Mosvani - and their Warders. Verin explains that she became intrigued by the fact that two women able to channel powerfully came from this small region and set out to see if any more are here. Since arriving just a few weeks ago she has found almost a dozen girls who can channel or learn, but has since been forced into hiding by the Whitecloaks and Trollocs. Alanna is also distraught by the death of one of her Warders. The Aes Sedai agree to help Perrin liberate the Two Rivers from the twin threats. Perrin’s first move is to gather as many Two Rivers people as possible in one place, to better resist Whitecloak or Trolloc attack. The Whitecloaks are centered on Watch Hill, whilst the Trollocs seem to be scattered across the district, so it seems logical to fortify Emond’s Field and use that town as their base. Perrin, Faile, Tam, Abell, Verin and her Warder Tomas set out for Watch Hill, planning to liberate the captives there. Along the way they stop at the al’Seen farmhouse and manage to recruit many of the younger lads to their cause. Lord Luc, a Hunter of the Horn, has been patrolling the countryside and encouraging the locals to resist the Whitecloaks and Trollocs, but the locals have not had the stomach for it. Perrin’s more cautious tactics convince them to follow his advice. Luc himself decides not to join Perrin’s group, instead carrying word of the movement to other farms. Perrin finds Luc highly familiar, even beyond a vague resemblance to Rand, but cannot find the reason. As Perrin’s growing group continue northwards they stop at many other farms and soon hundreds of people are heading south to Emond’s Field. Eventually they reach Watch Hill and in a daring move rescue the Cauthons and Luhhans from the camp. Whilst the prisoners are taken back to Emond’s Field, Perrin leads the other young men off in another direction. He plans to hunt Trollocs. Rand al'Thor and his comrades in the Aiel Waste. Back in the Aiel Waste, Rand and Mat return from Rhuidean and the Wise Ones discover that Rand is now marked with two dragons on his forearms, the mark of the Car’a’carn, the Chief of Chiefs. Using Tel’aran’rhiod the Wise Ones summon the leaders of all the Aiel clans to gather at Alcair Dal, a neutral meeting point in the mountains east of the Dragonwall, to discuss this matter. Couladin is outraged when he is denied permission to enter Rhuidean after Muradin does not return, being told that the Shaido’s problems must wait whilst the coming of the Car’a’carn is addressed. After Aviendha and Moiraine return, the Aiel set out for Cold Rocks Hold, the clan hold of the Taardad Aiel. They will wait there until the other clans reach Alcair Dal, whereupon they will follow. The Shaido accompany them, Couladin pointing out that the Car’a’carn is a matter for all the Aiel, not just the Taardad. As the large group heads westwards, they encounter a peddler caravan led by Hadnan Kadere and Keille Shaogi. The peddlers are delighted by the news of a great gathering of Aiel where they can trade profitably and Rhuarc agrees to let them travel with the group. A gleeman travelling with the caravan, Jasin Natael, is intrigued by ‘He Who Comes With the Dawn’ and suggests to Rand that he might compose an epic about him. Natael has little of Thom’s skill with stories, but is an even better musician. The group makes camp one night at Imre Stand, a watering hole. However, the Aiel who guard the Stand have all been murdered by Shadowspawn. The Aiel are shocked; Shadowspawn will not willingly enter the Waste and must have had good reason to do so. 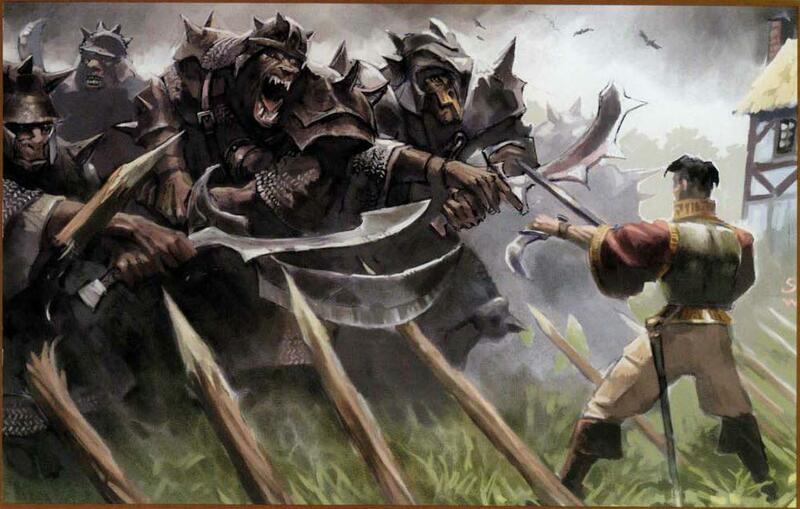 That night the Stand comes under a concerted Trolloc attack. Though the attack is beaten off, Rand knows it was directed at him. The city of Tanchico, capital of Tarabon. From the 13th Depository. More than three thousand miles to the west, in Tanchico, one of the Seanchan ship captains who escaped from Falme, Egeanin, has set up a new home in the city, waiting for the return of the Hailene. She has also discovered that sul’dam can learn to channel the One Power and is horrified by the news, though at the moment she cannot do anything about it. Her current mission is to wait and to watch on behalf of the High Lady Suroth. Meanwhile, Lord Inquisitor Jaichim Carridin is continuing his mission to bring Tarabon, Almoth Plain and Arad Doman into the Children of the Light’s fold by stirring up trouble between the national governments and the Dragonsworn. He is now in Tanchico with a large force of Whitecloaks, working with King Andric himself to keep the chaos of civil war at bay. The countryside is in turmoil between the government troops and the Dragonsworn, but as yet the capital remains secure. However, that stability is in danger due to the recent death of the Panarch. King Andric wants his current lover, Amathera, installed as Panarch, but the Assembly is stalling in ratifying the choice. Carridin agrees to supply a Whitecloak force to help the decision be fully implemented. However, Carridin is then confronted by Liandrin and forced to work for the Black Ajah. Liandrin and the other Black sisters continue their plotting. Once Carridin has secured the Panarch’s Palace they will take the new Panarch in hand and then locate and remove the ter’angreal that is somewhere in the palace, the ter’angreal that will allow them to control Rand al’Thor. All it will take is a few more days. Just a couple of days later Nynaeve, Elayne, Thom and Juilin arrive in Tanchico, shortly before the investiture of Panarch Amathera. They quickly bump into Bayle Domon, captain of the Spray, and learn that since the Battle of Falme he has become extremely successful, founding a ship company that calls at everywhere between Tarabon and Arad Doman. Domon regretted fleeing Falme before he could pick them up, but it was either that or be caught in the crossfire between the Seanchan and whoever was attacking them. Domon agrees to have his crew watch out for any sign of the Black Ajah sisters, whilst Juilin takes to the streets to see what he can learn. The rest locate a good inn, recommended by Domon. Whilst Nynaeve retires early for the evening, Thom performs for the inn’s patrons and Elayne watches. She suddenly remembers that Thom was the Court Bard at Caemlyn when she was very young, and left under a cloud when she was four years old. Thom refuses to explain why. Nynaeve awakens and uses a ter’angreal seized from Amico back in Tear to enter Tel’aran’rhiod. She bumps into Birgitte in the dream and finds herself in Rhuidean, with a strange man examining the city. Birgitte pulls her away, telling her the man is one of the Forsaken, Asmodean. Nynaeve reappears in Emond’s Field and suddenly encounters a man who looks very similar to Lan. The man sees her and tries to shoot her, but she awakens before he hits. The next morning Juilin returns with little to report. This hunt may take some time. In the Two Rivers Perrin has continued to recruit more young men to his side, sending their families to Emond’s Field for safety. However, during one Trolloc-hunting excursion he leads his men into an ambush and twenty-seven are killed. With the help of Alanna’s Warder, Ihvon, he rescues the rest, but is angered at his own stupidity. Whilst travelling back to Emond’s Field he encounters the Tuatha’an caravan led by Raen and Ila and is granted sanctuary for his injured men. He asks them to take refuge at Emond’s Field with the rest, but they refuse, disliking towns. That night Faile confesses to Perrin that her father is Davram Bashere, Marshal-General of Saldaea’s armies and uncle to Queen Tenobia Kazadi herself. Perrin is startled at her having lied to him in the past, but accepts it. In the wolf dream that night he confronts Slayer again, but the man escapes. Perrin does discover that the Waygate is now open again and hundreds more Trollocs are entering the Two Rivers. The next day they reach Emond’s Field to find the town already well-defended. A wooden stockade now rings the towns and six catapults have been built under Tam and Tomas’ directions. Verin and Alanna have also moved into the town and openly declared themselves as Aes Sedai. Emond’s Field is now ready to face the Whitecloaks and the Trollocs both, though Perrin disapproves of the Manetheren flag that is flying over the town. Luc is also in the town, helping with the preparations. Perrin tells Loial about the Waygate and if it is possible to destroy it completely. Loial recalls that only once has a Waygate been totally destroyed, when an Ogier stedding fell to the Blight and the Waygate destroyed by thirteen powerful Aes Sedai using a sa’angreal. Though he cannot destroy the Waygate himself, he can remove the keys, causing them to rot away and die. The Waygate cannot be opened again until the Talisman of Growing is used, or unless it is forced open by immense use of the One Power. He and Gaul set off immediately, Perrin being too wounded to follow. 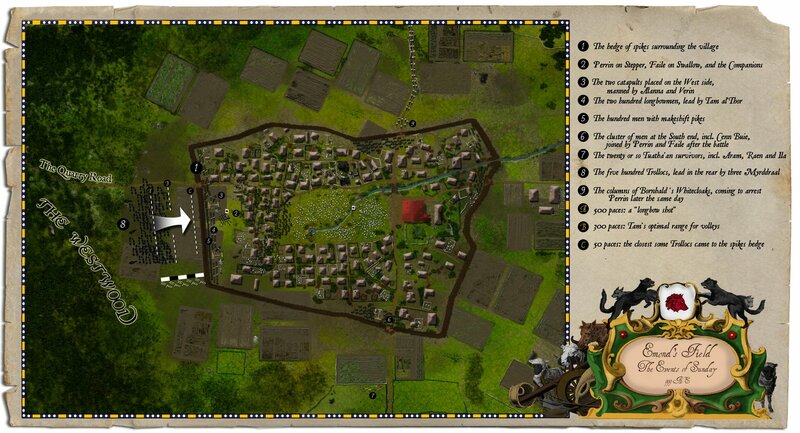 Emond’s Field comes under attack by 500 Trollocs the next day, but they are driven off with a great loss of life. Then the Tuatha’an arrive, their caravan destroyed in battle. Of the dozens in the caravan, only twenty have survived, Ila, Raen and their grandson Aram amongst them. Perrin grants them shelter in the town. Aram is upset and angry over the deaths of his friends and relatives. He abandons the Way of the Leaf and takes up a sword, much to Ila and Raen’s sorrow. Tam agrees to team Aram in the way of the sword. A Whitecloak column then arrives, led by Dain Bornhald. Bornhald reports of the destruction of Taren Ferry by Trollocs and then tries to arrest Perrin, but is prevented by the town’s defenders. Perrin offers a temporary alliance until the Trollocs are defeated. Bornhald agrees, on the condition that Perrin surrenders himself into his custody afterwards. Perrin agrees, much to Faile’s anger. In Tar Valon events are now moving swiftly. The Hall of the Tower has agreed not to authorise the capture and gentling of the Dragon Reborn in Tear, despite protests from the Red Sitters. The Dragon Reborn must remain whole and stable until the Last Battle, though Elaida and other Red sisters are arguing that he should be taken prisoner and kept in the Tower until the Last Battle is actually upon them. Siuan has found herself walking a fine line; now the truth is out, it is more difficult to avoid questions of what exactly the Amyrlin knows about the Dragon Reborn. Others have expressed disapproval and even anger that Moiraine is the Aes Sedai guiding him; they still remember her suspicious behaviour and unauthorised disappearance last year in Shienar after being ordered by the Amyrlin to return to Tar Valon (The Great Hunt). News from the outside world is a mixture of the disturbing and the unusual. Mazrim Taim remains at large, despite the Aes Sedai force sent to apprehend him. The ‘Prophet of the Dragon’, Masema Dagar, has started causing serious problems in Ghealdan, attracting thousands of followers and even defeating a military force sent to stop him speaking. More ships than usual have vanished in the Aryth Ocean and, quite unexpectedly, Tear has sent an army across Cairhien’s southern border. The Cairhienin cannot agree to stop fighting so they can confront the Tairen incursion, so the Tairens are pretty much marching into the kingdom unopposed although, bizarrely, they seem to be going out of their way not to fight anyone. 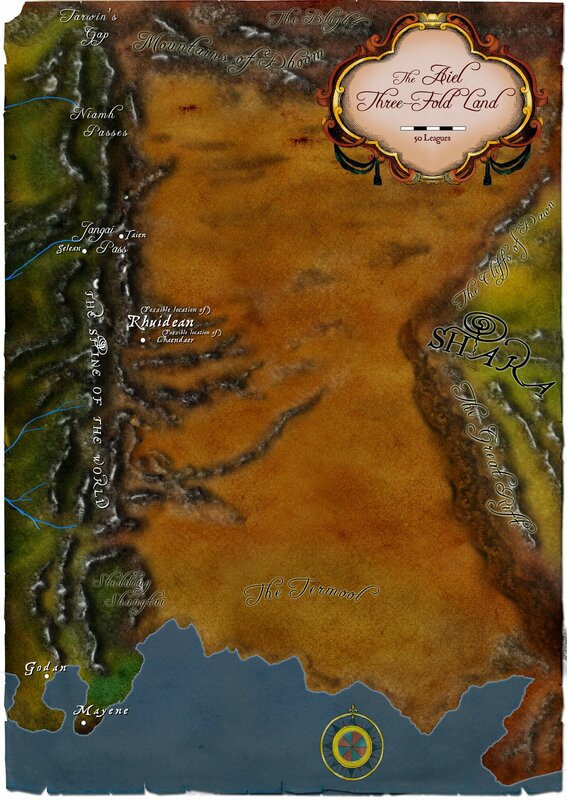 Rather oddly, Aes Sedai sisters have vanished without trace in both Illian and Caemlyn, whilst the situation along the Aryth coast, from Windbiter’s Finger to Arad Doman, is growing steadily more chaotic. Siuan’s ruminations are interrupted when a group of Aes Sedai enter her office unannounced, led by Elaida and Alviarin. They immediately shield her from the One Power and inform her that her treachery of keeping the existence of the Dragon Reborn a secret for the past twenty years has been discovered. Siuan is confident that they will not get the support in the Hall of the Tower they need to depose her, since the Blue Ajah will argue that it was necessary to keep his existence secret and many in the Green, Grey and White Ajahs will agree with them. Much to Siuan’s horror, however, Elaida has arranged it so that the only Sitters meeting to discuss the matter are those who agree with her, and no Sitters at all for the Blue will be allowed to meet, in direct contravention of the law. Siuan is found guilty and along with Leane is stripped of her rank and stilled within an hour of being arrested. In the Aiel Waste Rand and the Aiel finally reach Cold Rocks Hold. Rand is accepted by Lian, Roofmistress of the Hold, wife to Rhuarc and sister-wife to Amys, as the Car’a’carn, a significant moment for the Aiel as the word of a Roofmistress carries great weight. Rand plans to wait for several weeks as Rhuarc suggests, giving all the other clans time to reach Alcair Dal, but a group of Draghkar attempt to assassinate him at night, whilst the Aiel are distracted by a Trolloc raid. Rand and Aviendha kill the Draghkar, though the Wise One Seana is killed in the process. Seana was just one of four dreamwalkers the Aiel possessed, so her death is a great blow. Rand decides they must go to Alcair Dal now, before another Shadowspawn attack. When Rhuarc tells Rand that the Shaido departed in the night, Rand decides that Couladin is up to something. He tells Rhuarc to bring all the Taardad septs to Alcair Dal, in violation of all custom. Rhuarc agrees, and the clan prepares to depart. In Tanchico Egeanin continues to visit with Nynaeve and Elayne and learns more of Aes Sedai, but her status as a Seanchan is revealed by Bayle Domon, who recognises her as the ship captain who took possession of the Spray and forced him to go to Falme. Egeanin confesses that Nynaeve and Elayne have changed her perception of Aes Sedai and she wishes them no harm, much to Nynaeve’s disbelief. However, this matter is put aside as Domon, Juilin and Thom all discover from different sources that the Black Ajah are in the Panarch’s Palace as ‘guests’ of Amathera, who is to be installed as Panarch on the morrow. Using Tel’aran’rhiod Nynaeve confirms that Amathera is an unwilling prisoner of the Black Ajah. She also sees a strange woman examining the collection of angreal in the museum. It is the same woman who Compelled Elayne, Nynaeve and Egeanin earlier and seeing her jogs Nynaeve’s memory of the incident. Birgitte appears again and tells her the woman is the Forsaken Moghedien. Her presence here complicates things, since Moghedien and Birgitte were mortal foes in the War of the Shadow and that Moghedien swore vengeance against her. Somehow, Moghedien knew - knows - of Birgitte’s true status as one of the Great Heroes of the Ages and has a special fate planned for her. Nynaeve also discovers the ter’angreal that appears to be an a’dam for men, along with one of the seals on the Dark One’s prison. Returning to the waking world, Nynaeve and Elayne vow to defeat the Black Ajah and Moghedien, rescue Amathera and retrieve the seal and the a’dam. In the Two Rivers reports come that the Trollocs are gathering in a huge force, maybe thousands strong, to destroy Emond’s Field once and for all. With great difficulty Perrin persuades Faile to leave the town, suggesting she try and get reinforcements from Caemlyn, though it is a good two-month journey to get there and back again, not to mention however long it will take to convince the Queen of her authenticity. Loial and Gaul return, having sealed the Waygate forever. No more Shadowspawn can enter the Two Rivers now, but they already have more than enough strength here to do what is needed. In the wolf dream Perrin confronts Slayer again. This time, though, he shoots and seriously wounds Slayer. In the real world Luc suddenly takes an injury and flees the town. Perrin is startled and begins to wonder if Slayer and Luc might be related somehow. Before she leaves, Faile forces Perrin to marry her. In Tanchico Elayne and Nynaeve unleash their plan. Juilin, Thom and Domon stir up the crowds into thinking the Whitecloaks mean to take control of Tarabon by imprisoning Amathera. Crowds gather outside the Panarch’s Palace and Carridin finds himself walking a tightrope to avoid a riot breaking out. In the confusion Nynaeve, Elayne and Egeanin (Nynaeve at last convinced of her good intentions) slip into the palace. Elayne and Egeanin go to free Amathera whilst Nynaeve heads for the museum. Elayne and Egeanin find Amathera being guarded by one of the Black sisters, Temaile Kinderode, and Elayne shields her from the Power and ties her up with it as well. An enraged Amathera plans to rouse the Panarch’s Legion and drive the Black Ajah and the Whitecloaks from Tanchico, but Elayne convinces her that lying low until she can reach King Andric might be a better idea. They slip out of the palace and return to their inn. Meanwhile, Nynaeve enters the museum and locates the Fifth Seal on the Dark One’s prison, again whole and undamaged. Now only two remain unaccounted for. However, just as she means to take the a’dam she is disturbed by Moghedien. They battle one another with the One Power and Nynaeve discovers with a shock that her strength in the Power rivals the Forsaken’s! Nynaeve lures Moghedien into thinking she is winning and then knocks her off balance by throwing the a’dam at her. Seizing the Forsaken’s moment of distraction she shields her from the One Power and retrieves the a’dam. Suddenly one of the Black sisters, Jeaine Caide, appears with one of the ter’angreal stolen from the White Tower, a ter’angreal that generates balefire. Nynaeve escapes from the palace as fast as is humanly possible, noting with dismay that Moghedien has also escaped at the same time. Back at the inn, they realise mayhem is going to erupt on the streets of the city when the Panarch’s Legion and King Andric discover that Amathera has vanished whilst under Whitecloak ‘protection’. They decide to leave at once, giving the a’dam into Domon’s hands. Domon agrees to drop it in the deepest part of the Aryth Ocean he knows about, the seas surrounding the Aile Somera. Slightly surprisingly, Egeanin offers to join his crew and Domon accepts. Thom, Elayne, Nynaeve and Juilin flee the city by cart, suggesting that Amathera lie low for a few days before revealing her liberty to Andric. That will hopefully be enough time for Carridin to be hounded out of the city. The Battle of Emond's Field. From the 13th Depository. The people of the Two Rivers repulse the Shadowspawn assault on Emond's Field. 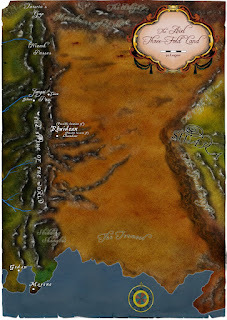 In the Aiel Waste the Taardad finally come to Alcair Dal, where already five of the clans have gathered. The Aiel from the other clans are disapproving of the Taardad bringing so many spears to a place of neutrality, but this disapproval is tempered by the fact the Shaido have also brought far more men than they should have done. Rand, Rhuarc, Lan and Heirn enter the valley itself - women are not permitted to discuss chiefs’ business unless a clan is currently leaderless, whereupon the senior Roofmistress of the clan assumes command until a new chief goes to Rhuidean to be selected - and confront the Aiel chiefs already present: Bael of the Goshien Aiel, Han of the Tomanelle, Erim of the Chareen and Jheran of the Sharaad Aiel. Sevanna, senior Roofmistress of the Shaido Aiel, represents her clan, though Couladin has demanded and been refused the right to speak. The valley was so-chosen because of its perfect shape for acoustics: a bowl with a ledge at one end, from where a speaker can be hear across the valley. Rand and his companions climb onto the ledge, angering the chiefs for the breaking of custom. Before Rand can speak, Couladin proclaims himself the Dragon Reborn and shows the dragons inscribed on his arms. Rand does the same, reminding the Aiel that the Prophecy of Rhuidean speaks that the Car’a’carn shall be of the blood but not raised by the Blood. Couladin denies this, claiming that three thousand years has distorted the prophecy beyond recognition. He claims to have gone to Rhuidean alone and in secret, and emerged thus marked as the Car’a’carn. Rand then challenges Couladin to reveal what he saw in Rhuidean and Couladin claims he saw the Aiel as warriors, warriors back to the dawn of time. Rand tells them that in the Age of Legends they were called the Da’shain Aiel and followed the Way of the Leaf. The Aiel are outraged, and then chaos erupts when Bael, Han, Erim, Jheran and Rhuarc all proclaim Rand as the true Car’a’carn. The Shaido become incensed and attack the Taardad. As battle erupts Rand uses the One Power to unleash a storm over the valley, the first rain felt in the Waste for three thousand years, hoping to distract the fighters, but to no avail. Then Lanfear appears and berates Rand for foolishly upsetting her plans. She is shocked when Rand tells her that she and Asmodean have fallen into his trap. 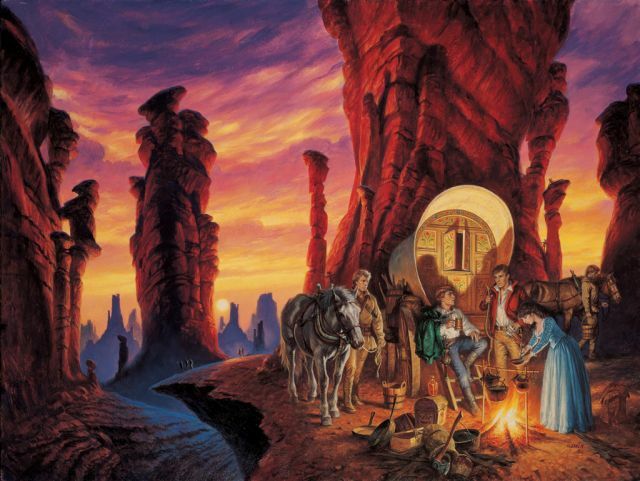 Recalling something of how he travelled from the Eye of the World to Tarwin’s Gap and back again (The Eye of the World), Rand uses the Power to open a dimensional passage leading back to Rhuidean. In the distance he sees Asmodean and Rand realises that he was disguised as the gleeman Jasin Natael all along. After an exchange of Power-wrought fire Asmodean reaches Rhuidean and leaps into the city, Rand on his heels. They battle in the central square, Rand eventually emerging victorious by use of the ter’angreal he took from the Stone of Tear. He shields Asmodean and then severs the thread of Power linking Asmodean to the Dark One, recalling how he did it to Ba’alzamon (The Eye of the World). Lanfear arrives and is horror-struck; she did not know that link could be cut. Now Asmodean is shielded from the taint on saidin no more and will go mad and die along with Rand. Faced with little choice, Asmodean agrees to teach Rand what he needs to go. Lanfear agrees to spread word of Asmodean’s ‘treachery’ to the other Forsaken. Now Asmodean is tied to Rand irrevocably. Lanfear departs and Rand notes the battle has had interesting side-effects on Rhuidean. An underground reservoir, hidden away for three thousand years, has spilled open into a neighbouring canyon, creating a large lake outside the city, in turn feeding a new river. In the city itself the central square has almost been torn apart; the doorway and column ter’angreal remain standing, but Avendesora is blackened and charred, though it remains alive. Amongst the debris of battle Rand finds the two ter’angreal statues needed to use the giant sa’angreal Rand knows to be buried under Cairhien and Tremalking. Asmodean warns Rand that Lanfear would kill him just to get the female statue needed to channel saidar through the sa’angreal. They return to Alcair Dal, Rand commanding Asmodean to re-adopt his role as Jasin Natael, gleeman to the Dragon Reborn. That will prove an effective cover for his teachings. Thanks so much for doing this. It's a fantastic summary. I've recently re-read the first 8 books, and then went on to my first read of the remaining one, and am anxiously awaiting the finale. This is a great summary that I'll re-read again just before I get the final book. Also, I read your blog alot, even if this my first comment. Keep up the good work! Thanks for the summaries. You've put together information from the glossaries and the stories themselves to put together summaries that would help even people who haven't read the earlier novels to understand the story line. Good luck with preparing the rest of the summaries. I look forward to reading those as well.